I can use GO! dies in my studio cutter with an adaptor. Long time readers may remember that I have made quilts for each of my grandsons from shirts worn by their papa and uncle. This one will be for the new baby due in December. He will also get the dinisaur quilt which will match his nursery. The blocks finish at 8 inches square. I was planning on a total of 20 blocks and then a plain white border. I’m not sure how far I will get on this before I go. Still need to get my projects ready to take. Most of you liked the last quilting design I showed for the dinosaur quilt yesterday. I agreed! I had Little E here yesterday. 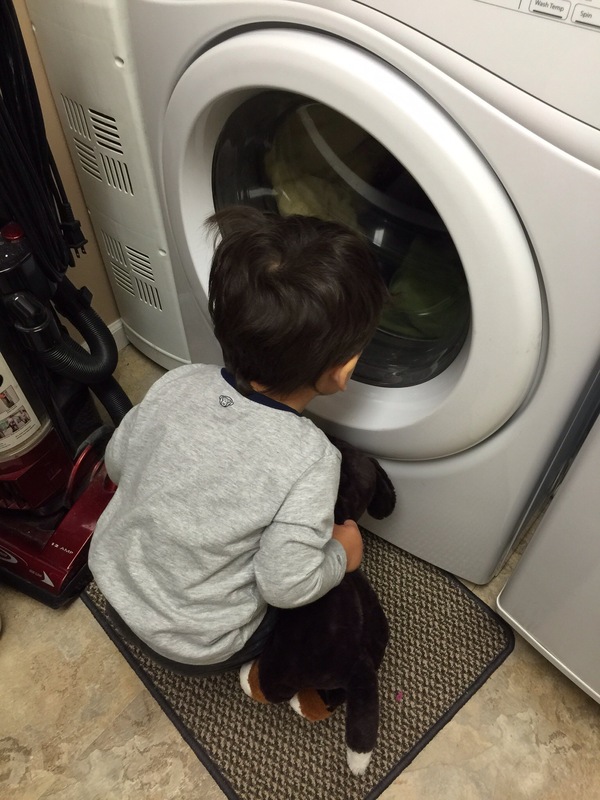 He and his pal, Stinky the dog, helped me with my laundry. Hope you all have a lovely, productive day! 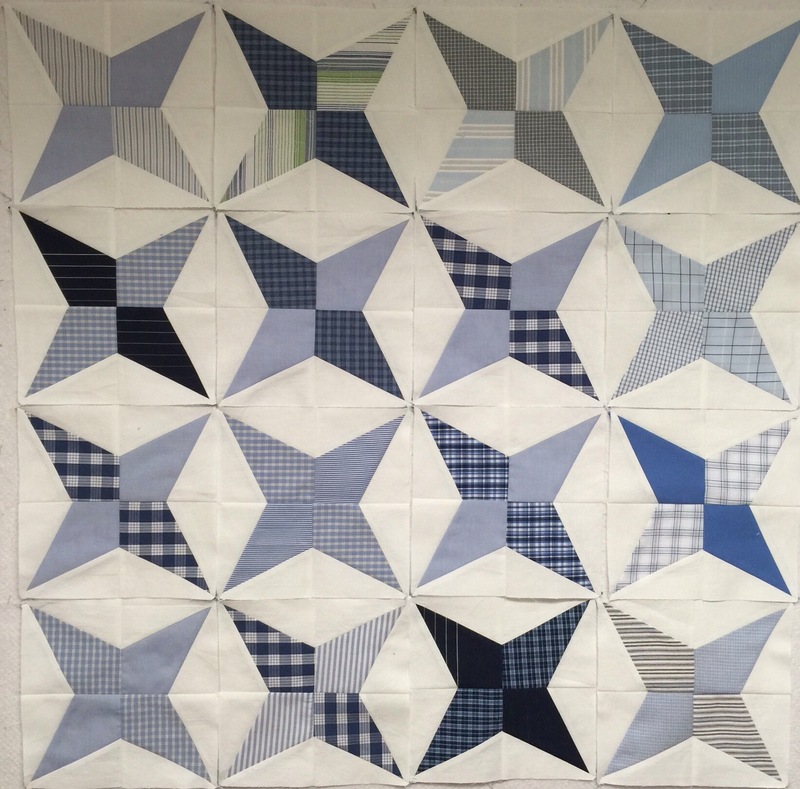 This entry was posted in Accuquilt Studio Cutter, Baby Quilts, Uncategorized. Bookmark the permalink. stinky!! My sister had a dog named Trouble. 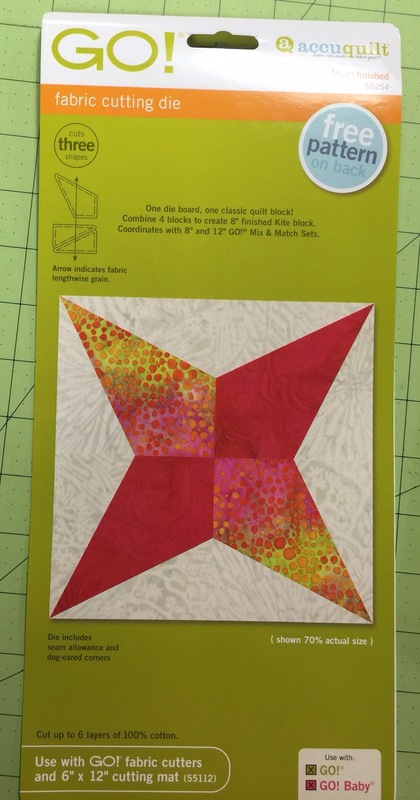 Ohhh, the shirting quilt is going to be a good one! 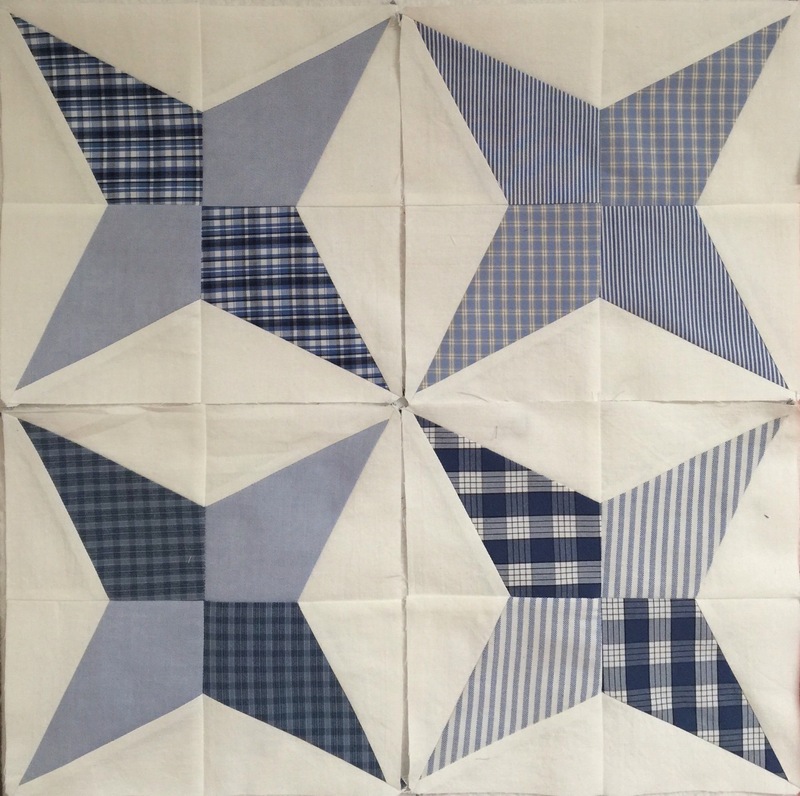 Who doesn’t love a blue and white quilt? Especially when you have the added interest from the different shirtings!!! Sweet helper you have there! 😉 I love those shirt blocks! Love the block! The blues with the off white background are beautiful together! Perfect choice of quilting for the dinosaur quilt…what a cutie watching the dryer!! I really like the new block. 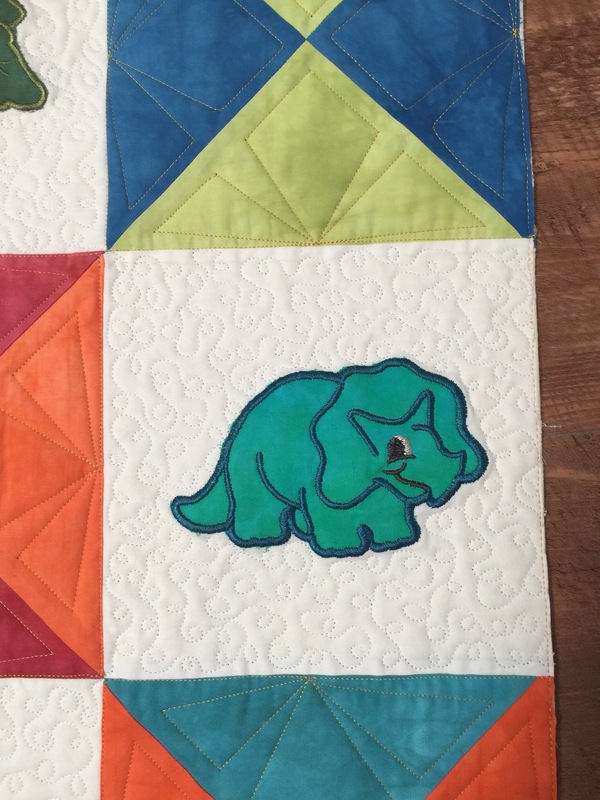 Good choice of quilting for the dinosaur quilt. They are so cute when they are that young. My nephew turns 16 on Wednesday, and we went to get the application for his driver’s license yesterday. Where has 16 years gone?? ?